WANTED Body Shell for Project. 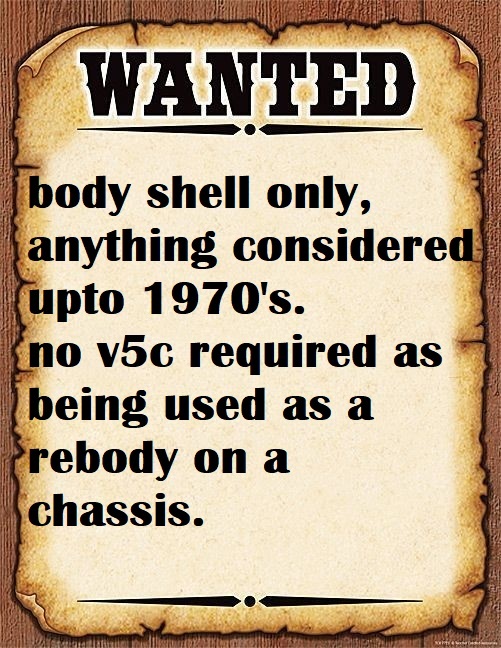 Manky Monkey Motors > Classified Adverts > Wanted > WANTED Body Shell for Project. Re: WANTED Body Shell for Project. Any joy on this ? nope, a few offers but nothing. biggest problem is people not following up. would take a real cheap 2dr minor, just shell no need for running gear etc.